OXFORD, Miss. 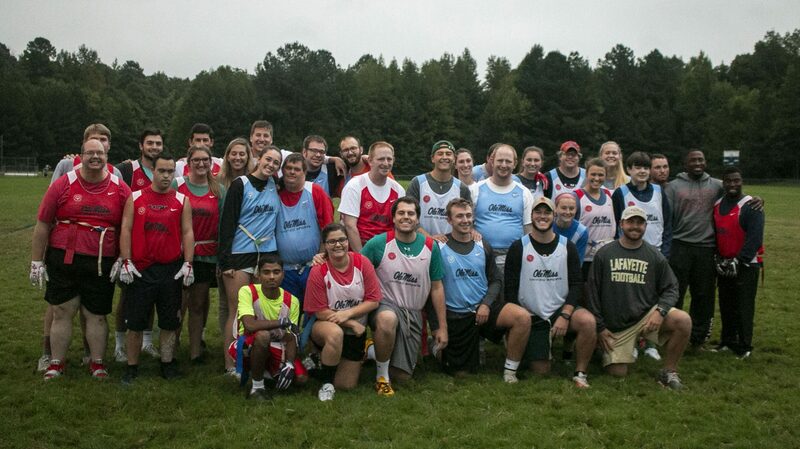 – The University of Mississippi‘s Special Olympics College Unified Sports team competed and was recognized on the national level this summer, providing another example of the positive impact made on the lives of Special Olympics athletes. The UM Special Olympics Unified Football team won the bronze medal at the Special Olympics USA Games, held July 2-6 in Seattle. “It was just a great opportunity to compete, but also enjoy ourselves in Seattle and build those relationships between the partners and the athletes,” said Amanda Alpert, associate director of campus recreation for programs, who serves as staff adviser for the club. Additionally, ESPN ranked the university’s club among the nation’s Top 30 schools in the ESPN 2018 Honor Roll as part of its Special Olympics Unified Champion Schools National Recognition Program, which includes middle schools, high schools and colleges. 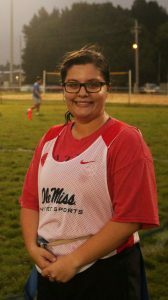 Madison Dennis is a Special Olympics athlete who strives to get better at the quarterback position and a member of the defense while playing Ole Miss Unified Football. She enjoys the atmosphere and said her favorite part is getting to play the various sports and making new friends. The Special Olympics program at UM allows its athletes to make lasting friendships, play sports and compete on a national level. Ole Miss changes the lives of the athletes and makes an everlasting impact by giving them a chance to play sports as part of a team. “This is the highlight of their life,” said Bob Dennis, Madison’s father. “Because of Ole Miss Unified Sports, she (Madison) got to go to Seattle at the USA Games. Special Olympics College at Ole Miss is also one of the highlights for the club’s president, Trey Skocy, who has been involved in Special Olympics since he was in sixth grade. His parents were active in the program when he was a child, but Ole Miss brought his experience to a whole new level. “Growing up, it was more like being a volunteer,” Skocy said. “I never heard about a ‘unified experience’ until I came here. Bob Dennis believes being a member of a “unified” program enhances the experience for participating athletes such as his daughter and others because they are able to compete as a team.